The strategic location on the UK’s south coast makes Southampton Container Port, the ideal first port of call for container ships serving the Far East to European trades. The terminal also offers significant protection from the elements, by virtue of the geographical location, naturally sheltered from prevailing winds. Thanks to the Isle of Wight, even in the toughest weather conditions Southampton maintains a great operational track record. Southampton port also it benefits from a unique double tide which provides an exceptionally wide tidal window for access by the World’s largest container ships. Import Services’ distribution centres are located adjacent to Southampton Container Terminal and in proximate distribution parks. The sites are geared up to provide high volume order processing, bookings and pre-retail operations for trusted distribution to the major and multiple retailers. Live information flow is at the centre of our operation. 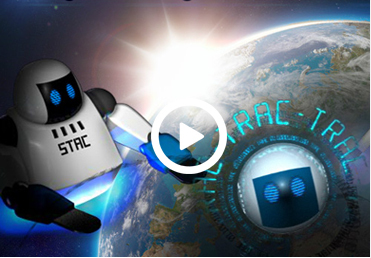 Import Services, our retail logistics system TRAC gives you the ability to access, monitor, download and decide in real time, from any place at any time via the web. Reliability is key to your supply chain, which is why Import Services is based at Southampton Container Port, to provide your optimum route to market across the UK, Eire and Continental Europe.